Pour all ingredients into mixing glass and fill with ice. Stir well and strain into cocktail coupe coated with coconut powder. 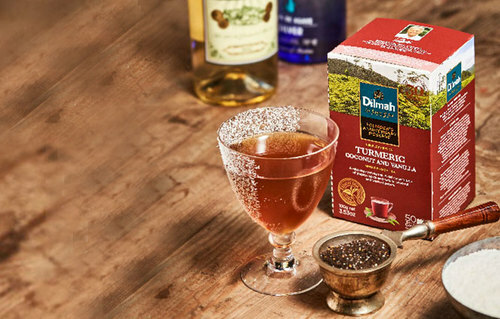 *Infuse 4 grams of Dilmah Founders Anniversary Turmeric, coconut and vanilla Tea in one bottle of vermouth for 24 hours.